I awoke this morning to the sound of rain. Apparently it had rained all night long. As I lay there I could hear something other than the rain drops hitting my tent. It was the sound of the Safwa praying. They prayed for an hour. I have no idea what they were saying, all I know is they were passionate about it. They are a remarkable group of people. I felt convicted so I joined them in prayer as I lay flat on my back. When I woke up they were still praying. Twinkle Toes had a great idea at breakfast this morning. He put honey on the mandazi. The man is a genius! By the way Lipid Man is back on the donuts and off the bananas. Today was the final day of ministry and teaching. The Safwa apprentices taught the Bible stories they learned this week to about 300 kids at two local schools. 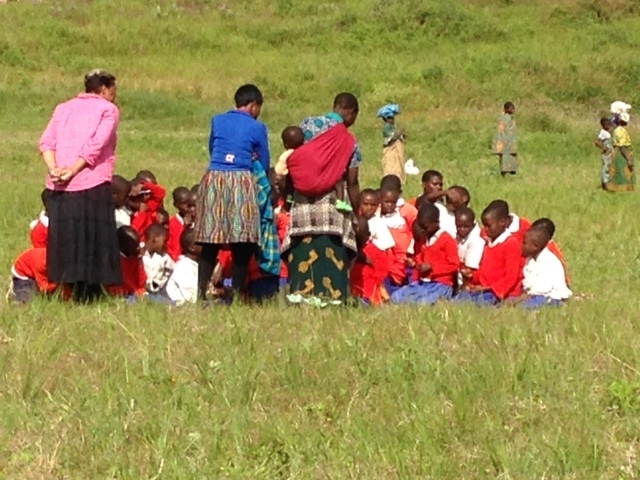 What an opportunity to reach the children of Tanzania with the gospel. Bill taught about the qualifications for church leadership. The afternoon was filled with real and hypothetical questions regarding all aspects of church life. Bill directed them back to scripture to find the answers. This was a great learning moment for the Safwa. At dinner, Carmen and I shared some comfort food. We had a bowl of Gran’s (my mom) chicken noodle soup. It was great. I shared it because I could not stand to see Carmen stare down another plate of ugali. MacGyver came to camp today. 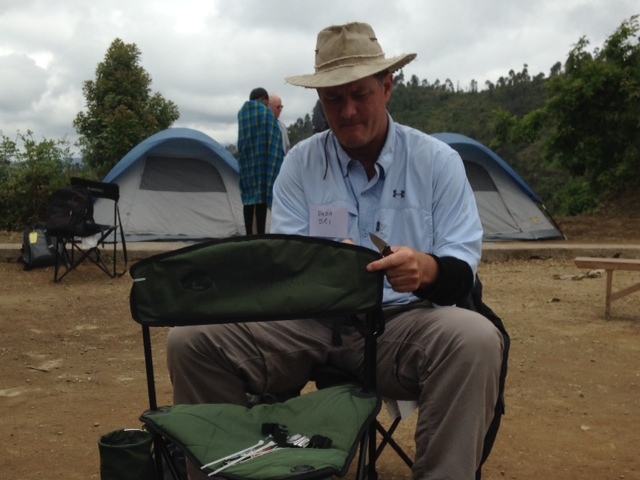 Bill did surgery on his camp chair. The zip ties ought to hold it for one more day. Inspector Gadget’s Tanzanian phone was activated today. We all enjoyed phone calls home. The last day in camp is always a little sad. It’s hard to put into words all the feelings I have right now. In the evening worship service Joseph shared his testimony and preached on the security of the believer. He did a great job. The service closed by us praying for the Safwa and the Safwa praying for us. There is much love and respect between the mzungu (us) and the Safwa. We will miss our brothers and sisters in Christ. 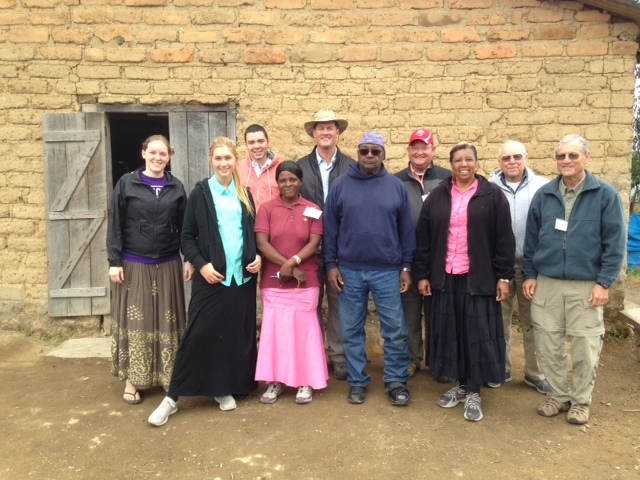 I think we can leave here confident that we have done our best to equip the Tanzanian church. I have included a group picture plus one. She wanted in the picture and we let her stay. The dance party just ended. Time to go to bed.